Kevin Gates, who currently is serving a 30-month prison sentence in Illinois, has today (Sept. 6) released a new visual accompanying one of the two songs he has dropped since his arrest last year. As evidenced by the new music video for his track, "What If," the Baton Rouge rapper is clearly turning to his music to get through this trying time. The visual, which was directed by Walu, follows a character with Gates' likeness, creating a direct parallel to the rapper's life and experiences. As the video highlights scenes from an inner-city neighborhood, one stand-out moment features three children waiting for their mother to come home so they can eat, a powerful scene that is juxtaposed with a clip of their father praying in jail. Additionally, at the conclusion of the music video, an open letter appears on the screen, with the handwritten note encouraging fans to preserve through their own hardships while he gets through his. "A great person is measured by all of the great tests they can undergo and still remain true to who they are," an excerpt from the open letter reads. 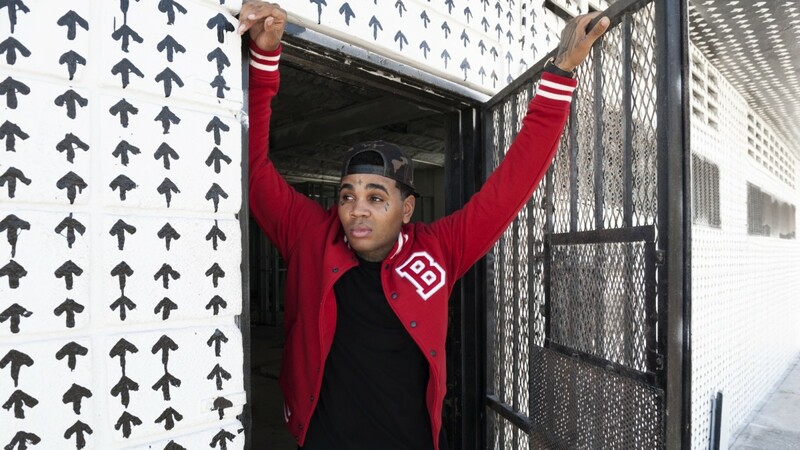 Gates was originally sentenced to six months in jail for battery after an incident where he kicked a female fan in the chest during one of his live shows. However, on the day he was set to be released, a warrant was put out for his arrest for a separate weapons charge, resulting in his being sentenced subsequently to a 30-month stint behind bars. As previously reported, the 31-year-old was denied bail and will be eligible for parole in June 2018. Take a look at the incredibly emotional and powerful visual for Kevin Gates' track "What If," as well as see his personal, uplifting message to fans, below.